This book is the closest George ever got to an autobiography. The first part is filled with his recollections of his childhood and being a Beatle, as well as his thoughts on life, religion, gardening and even motor racing, as told to Derek Taylor. The next section of the book contains photographs. 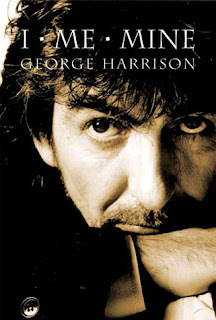 My personal favourite is the section featuring the original handwritten lyrics to many of George's songs, accompanied by explanations from the man himself. It's great to see where he got his inspiration from, and nothing offers a better glimpse into the mind of a great songwriter. Olivia Harrison's foreword is very moving. Is this book any good? 'Cuz George was my favorite member of the Beatles. And plus, I'm looking for ANYTHING to read right now!